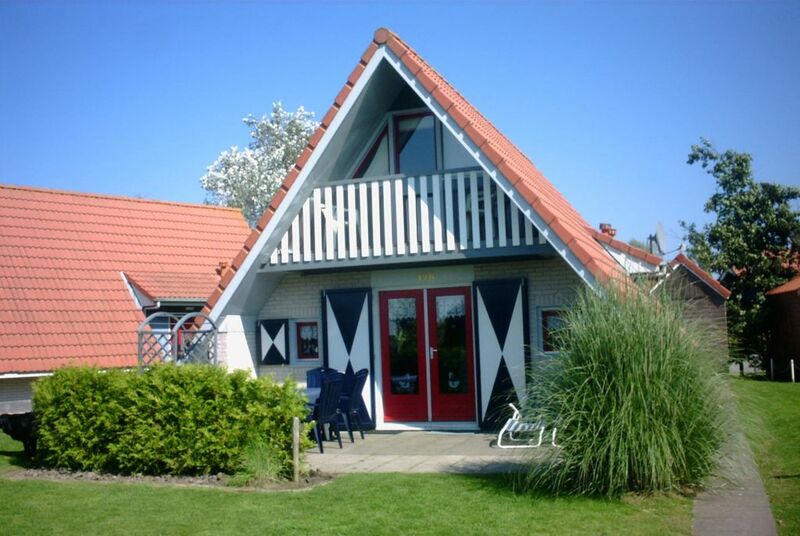 The house is situated in a small bungalow settlement near Oostmahorn on the Lauwersmeer. It is designed for six people, has three bedrooms each with two beds, a spacious living room with a separate kitchen, a bathroom and a separate toilet. It is furnished both comfortably and comfortably and equipped with everything necessary including TV with cable connection and free WLAN. A small garden with terrace completes the whole. We also rent the neighboring house, property 46913. Both objects are therefore suitable for groups of up to 12 people. Final cleaning: The cost of the final cleaning is 30 € per stay. Pets: The cost for pets is 10 € per pet and per stay. Ein ruhig gelegenes bequem eingerichtetes Häuschen für einen erholsamen Urlaub. Wir (meine Freundin und ich) waren 10 Tage in diesem wunderschönen Ferienhaus, in dem man sich sofort wir zuhause fühlte! Restaurant in der Nähe am kleinen Leuchtturm, zum Fischessen am Lauwersmeer, asiatisch holen beim Chinesen oder auch mal was Gutes kochen! Wetter war durchwachsen, aber es gab genügend Möglichkeiten, die schöne Gegend zu erkunden!